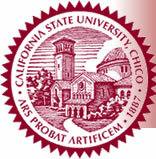 The Religion and Public Education Resource Center at California State University-Chico, seeks to foster a greater understanding of the First Amendment principles that set the ethical, legal, and pedagogical framework for thinking about the topic of religion and public education within USA. The center provides general information about the issues that arise in connection with the topic of religion and public education. Regional coordination of the California 3 Rs Project (Rights, Responsibility, Respect): A Program for Finding Common Ground on Issues of Religion and Values in Public Schools. This entry was posted in English, North America, Organizations, Partner. Bookmark the permalink.